Fabulous price and Fabulous home! Gorgeous 2 story on nearly 1/2 acre lot with low specials. 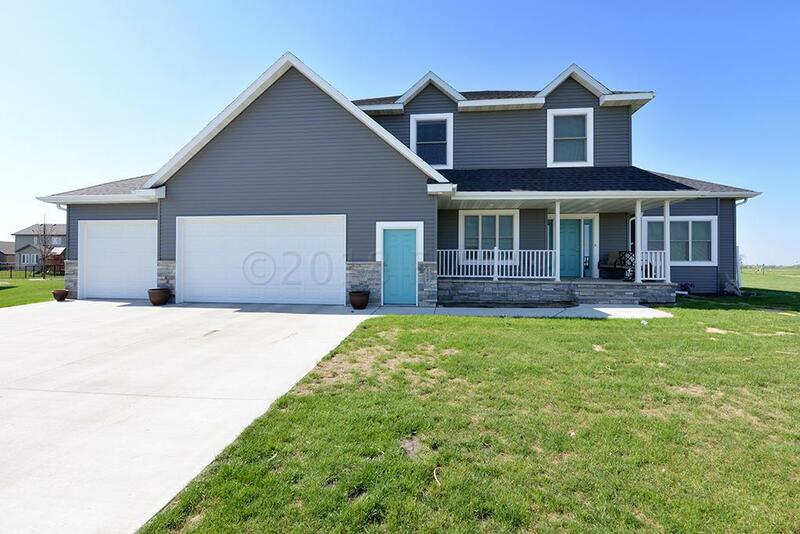 Close to amenities including school, shopping, Bluestem Performance Center. Stunning main floor family room with 12' ceiling. Spacious kitchen with large island. Main floor den/office as well as a half bath. Laundry and drop zone off the back entrance. 4 bedrooms up is perfect for families. Large master suite w/double sinks plus a spacious walk-in closet. Finished basement has a large family room with stub for wet bar plus an additional bedroom, bath and a large flex room perfect for exercise or play. Speakers are wired throughout the home. You will be pampered by the large heated garage with fantastic storage space. Enjoy summer on the front porch or the back patio. This one's a keeper! Kitchen/Eating: So much storage and light! Living Room: Grand 12' ceiling. Utility Room: Great storage too!